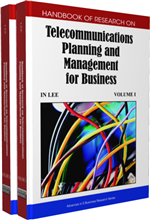 The purpose of this chapter is to provide a simple understandable approach to the basics of telecommunications management. This chapter is composed of four logically interlaced parts: the background information, the main components of telecommunications management, the future trends, and the conclusion. The background information section reviews the literature. The main part discusses management notions together with a short explanation of basic management systems. These systems include the management functions, the managed objects, the management information base, and the management protocols. The future trends section provides solutions most likely to appear in the future. The conclusion summarizes the fundamental mechanisms of this field. Network management takes place between two major types of systems: those in control, called managing systems, and those observed and controlled, called managed systems. Majority of the managing systems are called Network Management Systems (NMS). Managed systems can include hosts, servers, or network components such as routers or intelligent repeaters. To promote interoperability, cooperating systems must adhere to a common framework and a common language, called a protocol. In a managed device, specialized low-impact software modules, called agents, access information about the device and make it available to the NMS. Managed devices maintain values for a number of variables and send reports about those, as required, to the NMS. For example, an agent might report such data as the number of bytes and packets in and out of the device, or the number of broadcast messages sent and received. In the Internet network management framework, each variable is referred to as a managed object, which is anything that an agent can access and report back to the NMS. All information about the managed objects is contained in the Management Information Base (MIB), which is a database of the managed objects. The managed objects, or variables, can be set or read to provide information on network devices and interfaces. An NMS can control a managed device by sending a message to an agent of a managed device requiring the device to change the value of one or more of its variables. Performance Management: Performance management provides functions to evaluate and report upon the behavior of telecommunication equipment and the effectiveness of the network or network element. Its role is to gather and analyze statistical data for the purpose of monitoring and correcting the behavior and effectiveness of the network, network entities or other equipment and to aid in planning, provisioning, maintenance and the measurement of quality. Management Information Base: Management Information Base (MIB) is a type of database used to manage the devices in a communications network. It comprises a collection of objects in a (virtual) hierarchical database used to manage entities (such as routers and switches) in a network. Account Management: Account management enables the measurement of the use of network services and the determination of costs to the service provider and charges to the customer for such use. It also supports the determination of prices for services. Configuration Management: Configuration management provides functions to exercise control over, identify, collect data from and provide data to network elements. Fault Management: Fault management is a set of functions which enables the detection, isolation and correction of abnormal operation of the telecommunication network and its environment. The quality assurance measurements for fault management include component measurements for reliability, availability and survivability. Managed Objects: Managed objects are abstract representations of network resources (a physical entity, a network service, or an abstraction of a resource) that are managed.